The Scorpions is an ultimate rock-legend. Established in 1965 in Hannower (Germany) by Klaus Meine & Rudolf Schenker – the band has achieved discography of 20-something longplays, an impressive list of world classic hits: Wind Of Change, Rock You Like A Hurricane, Blackout, Big City Nights, Still Loving You, Holiday, Send Me An Angel, Dynamite, Coast To Coast, The Zoo, Coming Home, Hit between The Eyes, Tease Me Please Me, and many more. Throughout the years, The Scorpions have played an immense number of live-shows (often more than 100 yearly) for hundreds thousands of devoted fans, touring all inhabited continents from Los Angeles & New York to Anchorage & Santiago de Chile, from Glasgow to Beirut, Helsinki to Vladivostok or from Bangalore to Tokyo. 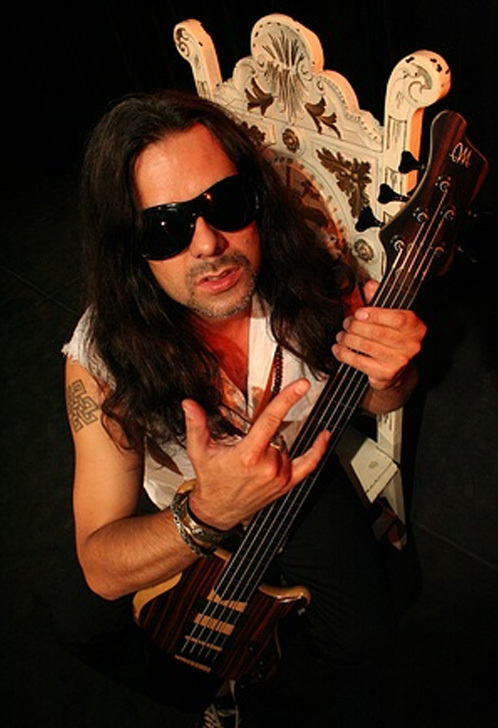 We are particularily honoured, that Pawel officially uses a Mayones bass (Prestige-5 model) among his gear.